All three titles have something to do with poetry, in very different ways. 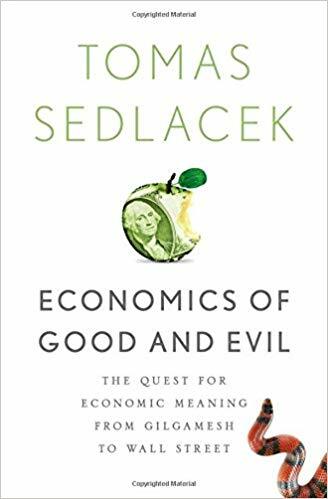 The first is Economics of Good and Evil, written by Tomas Sedlacek (translated by Douglas Arellanes) who was an adviser to Vaclav Havel, and whose book was a best-seller in the Czech Republic when it was first published in 2009. At the front is Alexander Pope’s poem ‘The Riddle of the World’. In part, the book is a protest against the modern habit of treating economics as an autonomous science divorced from ethics, which was one of the deeper causes of the global economic crisis of 2008, in part it is a recovery of the ancient view that “poets with their speech shaped reality and truth”. The book is a global survey of ethics and economics from the ancient middle east through Greece and Rome up to the present day, full of insights, and not above pointing out that Adam Smith was a professor of moral philosophy and certainly not the patron saint of today’s right wing economists. The second is another blockbuster by a poetic polymath, Micheal O’Siadhail. In 357 pages of sonnets, haikus and other forms, he surveys five main streams of life today, discussing their development over the past 400 years. The Five Quintets pays homage in the title to T. S. Eliot, but more to Dante in the five Cantos which make up each quintet. The quintets themselves are Making (the arts), Dealing (economics), Shaping (politics), Finding (science) and Meaning (philosophy and theology), and each of them is a conversation with a number of key figures in the discipline concerned. All extremely interesting as well as brilliant, and occasionally funny as Margaret Thatcher turns up between Hitler and Osama bin Laden due to the chronological order. The third is much closer to home, but equally well crafted: Landmarks, by Sandy Moffat, Ruth Nicol and Alan Riach, published for an early 2018 exhibition at the Lillie Art Gallery in Milngavie. Moffat and Nicol are Scottish artists, Riach is the Professor of Scottish Literature at Glasgow University. What brings these three together is their respect for the “seven poets” (MacDiarmid, Garioch, MacCaig, MacLean, Morgan, Mackay Brown, Crichton Smith). 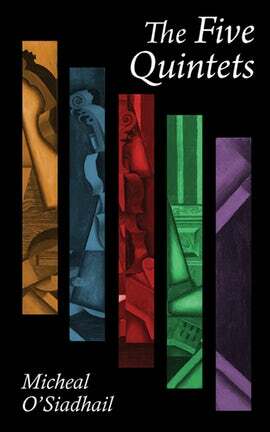 This new title, an A4 landscape art paperback, is a sequel to the Seven Poets published in 1981; that book had Moffat’s famous painting of ‘Poets Pub’ on the cover; Landmarks has his ‘Hugh MacDiarmid: Hymn to Lenin’ on the cover. Inside there are many portraits by Moffat, and landscapes related to the poets painted by Ruth Nicol, as well as conversations about the poets and what has happened in Scotland since that earlier book came out. Its content is also a shorter sequel to The Arts of Resistance which Moffat and Riach wrote in 2009.